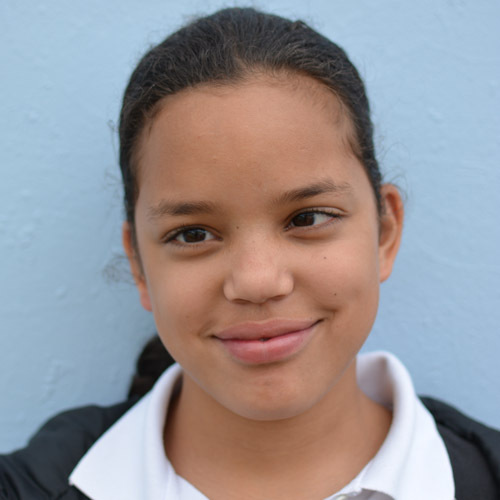 Jade, known as Rubi, has lived with her grandmother since her parents separated. Her mother lives with them but is unstable. When Rubi first came to the Kids Alive school, at age 9, she had never been to school because of poor eyesight and other health problems. However, she is such an intelligent girl that she quickly caught up to her peers. She is a sweet, loving girl and especially enjoys art.